The Royal Rumble is fast approaching, and with that comes everyone’s predictions of who might win the prestigious match. The names that keep getting thrown around as potential victors are the usual suspects; stars who have either already won the match or who don’t need a Rumble victory to facilitate a big push. Perhaps it’s time for an unconventional talent to rise to the occasion? Perhaps a new star can be born? Perhaps this man is none other than Big E? And as if three reasons weren’t enough as to why he should win the men’s Royal Rumble, here’s five. The New Day have proved been one of WWE’s biggest success stories, making household names out of all three of its members. The initial dynamic of the group was exactly what you would expect: Kofi Kingston as the high flyer, Big E as the muscle, and Xavier Woods as the mouthpiece. As the team have grown, however, so have the talents within it. All too often during New Day segments will we see Big E have the best lines of the night, eliciting uproarious laughter from the crowd and making each promo memorable. At this point, breaking up the gang would be uncharted territory for WWE, as each man is so closely tied with the gimmick. They’re also top merch sellers for the company (having even dethroned John Cena at one point), so there is justifiably a fear of lost revenue in ending it. But isn’t it best to leave an audience wanting more? The New Day shtick cannot last forever, as much as we’d like it to, and it’s vital that the support they’ve garnered from fans can be converted into singles pushes in the future. Big E’s breakout role in the group has given him more upside than his teammates, this must be capitalised on. Big E wasn’t always the wise-cracking humorist that we see verbally tearing down his opponents every week on SmackDown. He was originally cast on the main roster as Dolph Ziggler’s stoic bodyguard, a mountain of meat and muscle who existed solely to protect Mr. Money in the Bank. Not long after breaking away from Dolph, Big E received a minor singles push, even winning the legendary Intercontinental Championship. Sadly, not much came of this, he was simply a generic big man on a roster plagued by them. The New Day allowed Big E to shine, to show the world his personality and strengths as a crowd worker. He’s a major driving force behind the boundless energy of the stable, demonstrating a magnetic aura that makes him impossible to ignore. It is his job to hype everyone up with the group’s pre-intro music speech, after all. Even his entrance at last year’s Royal Rumble was a lark. As he was rolled down to the ring on a motorised cart to compensate for the long ramp, Big E posed to the audience as though he were standing in a Roman chariot. It’s that kind of natural charismatic behaviour that endears fans and creates a connection, everything you need in a singles star. A simple concept, but one that is tried and tested. 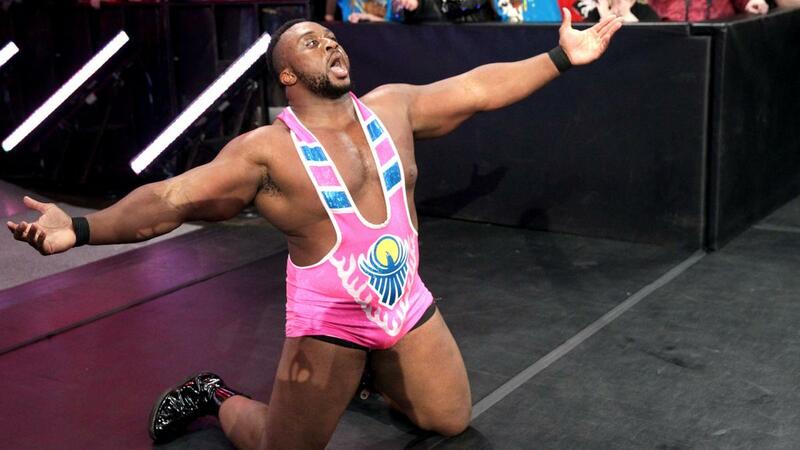 Big E is often at the centre of acclaim from spectators and is a key piece of The New Day’s appeal. The reactions he garners while working a match for simple actions such as gyrating his hips or rhythmically slapping an opponent’s thigh are comprised of genuine adoration. There is a case to be made that Big E’s popularity is a by-product of New Day’s, but if you were to swap him with someone like Apollo Crews, would the group be cheered half as much? It’s a symbiotic relationship between the popularity of the stable and the talents of its members. The point is that very few fans would reject a Big E victory at the Royal Rumble, it would be a welcome disruption of the status quo. As the match wore on, it would begin to dawn on people that they might be witnessing a genuinely beloved fan favourite going the distance. The catharsis of his victory would lead to everybody going home happy. A surface level observation, but a valid one nonetheless. It’s vital that a talent have some sort of visual appeal to mass audiences if they are to ever have any hope of superstardom. Big E obviously has that in spades. From a purely physical standpoint, the man is an imposing figure, who appears to have more muscles than Curt Hawkins does losses. It’s no secret that larger gentlemen are looked upon more favourably in the WWE than smaller chaps, and a man of Big E’s size and strength has a significant advantage in this department. Outside of the jacked nature of Big E’s stature, the man rocks loud, attention-grabbing outfits with the confidence of a big-time player. Anybody who can take a singlet that is frequently covered in unicorns and ice cream and make it work clearly possesses the “it” factor necessary to receive a world title push. The Royal Rumble holds a unique position over other matches in that it can almost instantly make a talent feel special. Many of the biggest stars in the history of the business had defining moments of their careers in the 30-man battle royal. In recent years, the Rumble has been used as a plot device for already established players to get their WrestleMania title match. This practice often makes the match slightly easier to predict, as most people already have a rough idea of who is going to be competing for a championship at wrestling’s Super Bowl. Big E winning would reflect the true spirit of the match in that it would take a well-liked character and give them that little push they needed to make it to the big dance. There is a main event singles player in Big E that is waiting to be released, and he would be legitimised with a hard-fought Rumble victory. He doesn’t even need to have a title match at WrestleMania if that isn’t anywhere in WWE’s plans. History has demonstrated that the planned title contenders will have their matches regardless, so why not kill two birds with one stone? If WWE’s intention is to give the Rumble win to someone who has already accomplished this feat, then they could simply have Big E put up his title shot against them and just miss out on a victory. Obviously, that wouldn’t be an ideal situation, as it would rob the man of his rightfully earned opportunity, but a Rumble win alone would be a star-making accolade. A triumphant Big E come the Royal Rumble is wishful thinking, in fact, it’s probably more of a statistical anomaly. However, it’s a new year and we need some new stars, would strapping the rocket to a left field choice really be such a bad thing? The New Day are an entertaining attraction, but Big E deserves the chance to become a big deal on his own. 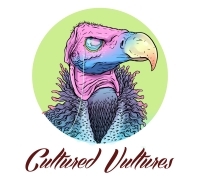 Editor of wrestling content for Cultured Vultures. Blogger and film fan who will write about anything and everything. Also a big fan of Run the Jewels.